We are thrilled to announce our last track in our full-day training sessions being held on October 31, 2018. We are excited to have Sandy Fadale, veteran ISACA CRISC, CGEIT and CISM certification instructor teaching the course Governance leading practices – How to setup governance in your organization. IT governance provides a structure for aligning IT strategy with business strategy. By following a formal framework, organizations can produce measurable results toward achieving strategies and goals. A formal program also takes stakeholders’ interests into account, as well as the needs of staff and the processes they follow. 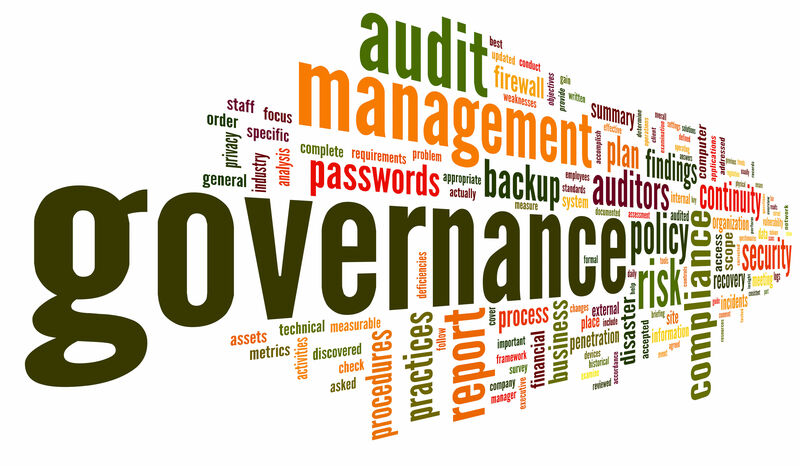 In the big picture, IT governance is an integral part of overall enterprise governance. IT governance and GRC are practically the same thing. GRC is the parent program, what determines which framework is used is often the placement of the CISO and the scope of the security program. Organizations today are subject to many regulations governing the protection of confidential information, financial accountability, data retention and disaster recovery, among others. They’re also under pressure from shareholders, stakeholders and customers. To ensure they meet internal and external requirements, many organizations implement a formal IT governance program that provides a framework of best practices and controls. Both public- and private-sector organizations need a way to ensure that their IT functions support business strategies and objectives. And a formal IT governance program should be on the radar of any organization in any industry that needs to comply with regulations related to financial and technological accountability. Frameworks for Governance- Ensure the definition, establishment and management of a framework for the Governance of Enterprise IT in alignment with the mission, vision, and values of the organization. Strategic Management – Ensure that IT enables and supports the achievement of enterprise objectives through the integration and alignment of IT strategic plans with enterprise strategic plans. Benefit’s Realization – Ensure that information technology (IT) – enabled investments are managed to deliver optimised business benefits and that benefit realization outcome and performance measures are established, evaluated and progress is reported to key stakeholders. Risk Optimization – Ensure that an IT risk management framework exists to identify, analyze, mitigate, manage, monitor, and communicate IT-related business risk, and that the framework for IT risk management is in alignment with the enterprise risk management (ERM) framework. Resource Optimization – Ensure the optimization of IT resources, including information, services, infrastructure, and applications, and people to support the achievement of enterprise objectives. Sandy Fadale, CISM, CGEIT, CRISC, CISA, CBCP, I.S.P., is a solutions-oriented Global IT Risk, Security, Policy and Compliance Senior Leader with notable success directing a broad range of corporate security initiatives while participating in planning and implementation of information-security, governance, risk and compliance management solutions in direct support of business objectives for Mariner Security Solutions a division under Mariner Partners. This entry was posted in Conference News by admin. Bookmark the permalink.